Not all Faith is the same. There are greater and lesser degrees of faith, as well as, differing "Kinds" of faith given by God to empower individuals to fulfill God's purpose for their lives. This is why the only two individuals Jesus said had "great faith", were not Jews, nor did they appeal to Him for their soul's salvation. They understood if they engaged one of the laws of faith, that they would gain access to the power necessary to manifest that which they stood in need of. Their faith was not religious in nature, but grounded in their understanding of the relationship between power and authority. In other words, they understood the faith at its core is not religious - but legal! Kingdom Faith, while also being legal, is yet another level and kind of faith available to those in covenant with God. It is the kind of faith that empowers us to partner with God in manifesting His will and word in this world. It is faith that all of God's creation is responsive to. The Kingdom kind of faith is more than faith necessary to be made right with God. It is comprised of several laws that, when understood and engaged, enables us to overcome this world, and any limitations it may place upon our true potential and identity. Listen and understand "The Anatomy of Kingdom Faith"! We are beginning a new Kingdom Teaching series provocatively entitled: "Learning to Talk Like God". The apostle Paul in his writing to the New Testament church admonishes its members to do that, which at first glance, seems impossible. However, it is not actually an impossibility, but the responsibility of every believer in order that the church fulfill its purpose in this world. In one place, Paul instructs the church to be imitators of God! How is this possible? Scripture reveals that it is not only possible, but an expectation that we grow and mature in our likeness to God, which includes our ability talk like Him. As sons of God, we were: (1) created in His image, (2) after His likeness, (3) granted His authority (dominion) over the earth, for the purpose of representing and advancing God's Kingdom here on earth. God endowed His sons with the ability to act like, or imitate Him on, and for a purpose. The question must then be asked: "How can a man, act like God, who is a spirit?" All spirits, including God, act and work by speaking! They work through their words. It is this understanding that has become lost to many who have been born again, but have not learned the basis upon which God declared that we would "subdue and have dominion" in the earth (Genesis 1:28). Why we must first perceive ourselves as being spiritual men, above our physical man in order to fulfill God's purpose for our lives, and His will for the world. What are we doing when we speak. Why learning how to talk like God has the power to completely transform your life, and the world we live in. ​"The Revelation in the Roots"
In Matthew 13 Jesus shares a parable about a sower how sowed seed on 3 different kinds of ground. He later reveals that this was a revelation of the Kingdom and that the seed sown was the gospel or Word of the Kingdom. He goes on to explain that the devil immediately tries to pluck this word from the hearer using various tactics to get them to release it. Even those who receive this word, and do so with joy, can suffer loss as a result of their having no root in them. In other words, the key to either being barren or fruitful in our lives is our ability to develop roots! This revelation has various powerful life application, which we will explore throughout this Kingdom teaching series. 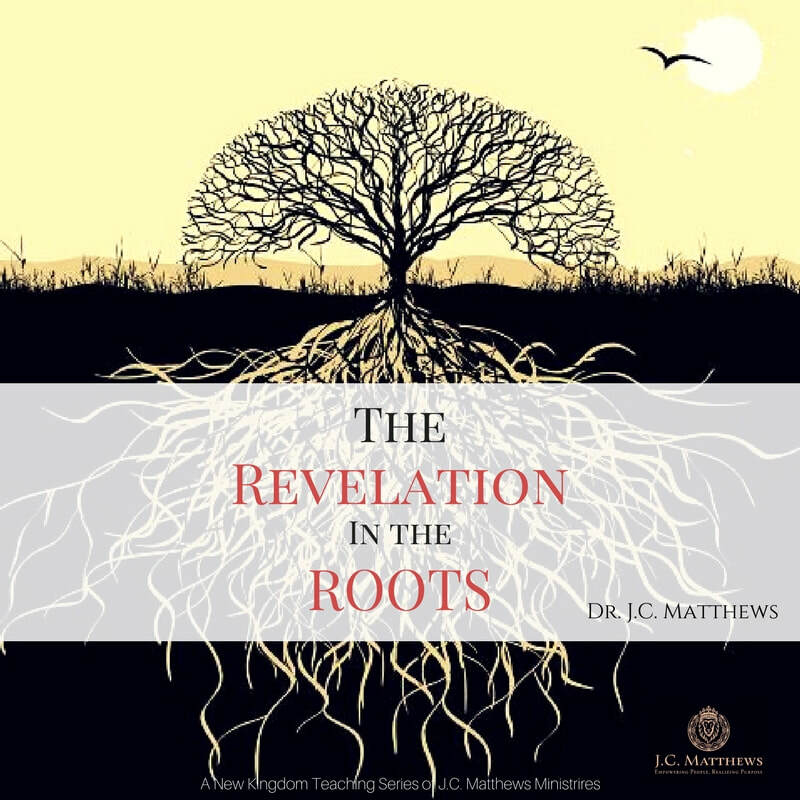 There is "revelation in the roots" that has the power, to not only transform your life, but the world we live in. Listen and learn more! 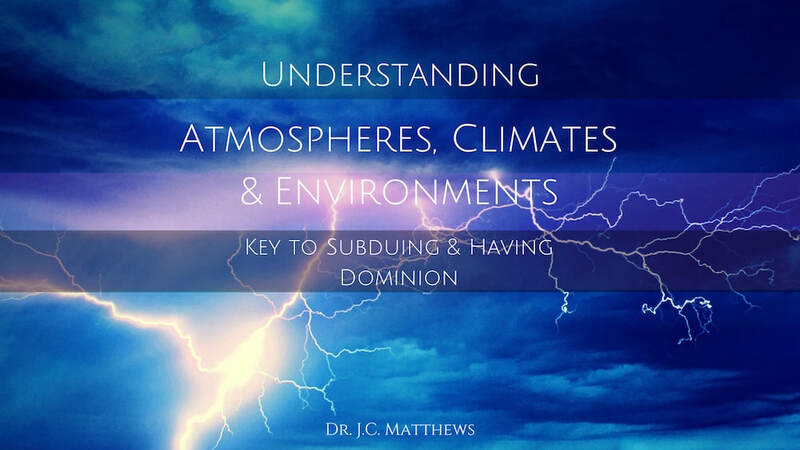 When God gave man dominion over all the earth, it included the authority over the domains consisting of the waters, air and surface of the earth. Although the church has engaged the world in advancing the Kingdom throughout the earth, it has for the most part ignored the principalities, powers and authority structures that occupy the air, which exercises it influence upon what takes place on the earth. These realities create and maintain atmospheres, climates and environments that can frustrate the church in its ability to fulfill its purpose and manifest the will of God in the earth. The born again believer is the only one qualified on earth, having received God's authority (or dominion) over the air, to address the atmosphere. Learn how to clear and create in your life an atmosphere, maintain a climate and cultivate an environment that God original planned for you live and proser in.